Not every inventor is a lone tinkerer creating strange and unusual products in his or her garage. Sometimes it�s a laboratory, and sometimes there are a few more people involved in the project. Two heads are very often better than one, but when it comes to inventions, it�s important to know how the law works. After all, it also takes two people to argue. therefore to share in its ownership. Period. 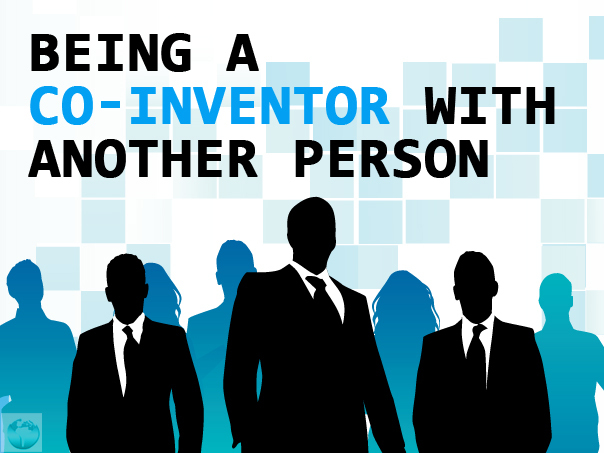 No matter what else happens to the patent afterwards, every inventor�s name will always be a part of that patent. Every inventor named on a patent has an equal right to use it, and they can each market, license, and even sell their patent rights as individuals without having to share their profits with the other inventors. They don�t even need the other inventors� consent. However, the value of a patent comes from the ability to enforce a monopoly on production, and so any companies interested in an invention (including any companies started by some of the inventors) will usually want to make sure the other inventors avoid spreading the patent around. As such, co-inventors will often buy or license the rights to their own inventions from each other in order to maintain this exclusivity. Because exclusivity is so important and patents are free for any inventor to exploit, what many groups of inventors do is form a small legal entity, such as a partnership or a limited-liability corporation. Each inventor invests his or her patent rights into the business, and in exchange they each get an equal share of the company. These shares represent the ability to vote on what to do with the patent, and they represent a share in the eventual profits. Shares can also be sold or transferred just like patent rights. Co-inventing can be a messy business, but the right preparations can make it much simpler. If you have fellow inventors of your own, try to iron out the legal status before sending in the patent application to save yourself from headaches later.